"UNITE THE LEAGUE – THE FLASH"
Warner Bros. was busy Thursday promoting their upcoming superhero extravaganza film 'Justice League.' The studio released a new film and character posters, teasers featuring Aquaman and Batman announcing the release of the full trailer coming this Saturday. Late in the day, they unleashed another "Unite the League" teaser this time starring Ezra Miller's Flash. Just as short as the other teasers, in this video, we get a closer look at Flash in action after a brief look at Miller from a previous trailer. It's very cinematic and dramatic and pure Zack Snyder. We should expect more teasers on Friday before the full trailer on Saturday. Stay on the lookout for videos of Wonder Woman, Cyborg, and maybe Superman (?). 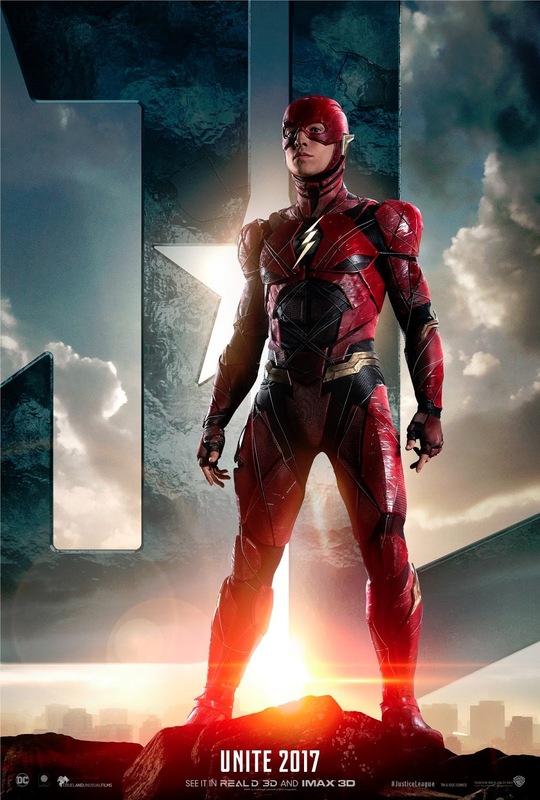 Ezra Miller Justice League movie trailer movies The Flash video Warner Bros.
Labels: Ezra Miller Justice League movie trailer movies The Flash video Warner Bros.